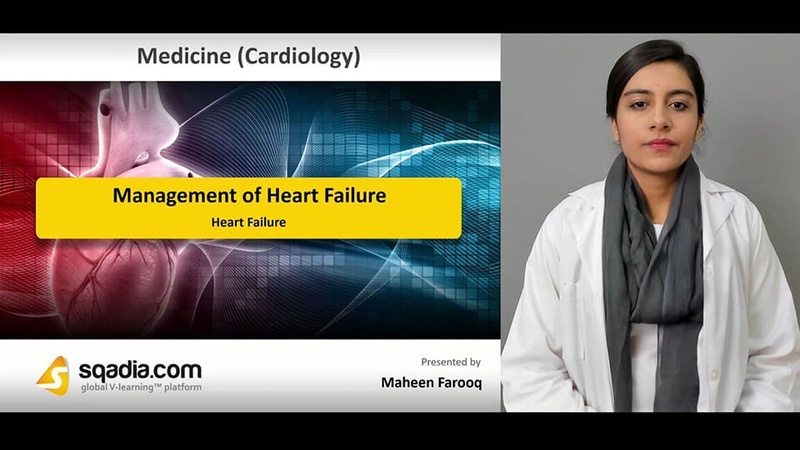 If you want to learn about the management of heart failure, here is the sqadia.com medical video lecture just for you, to serve the purpose. 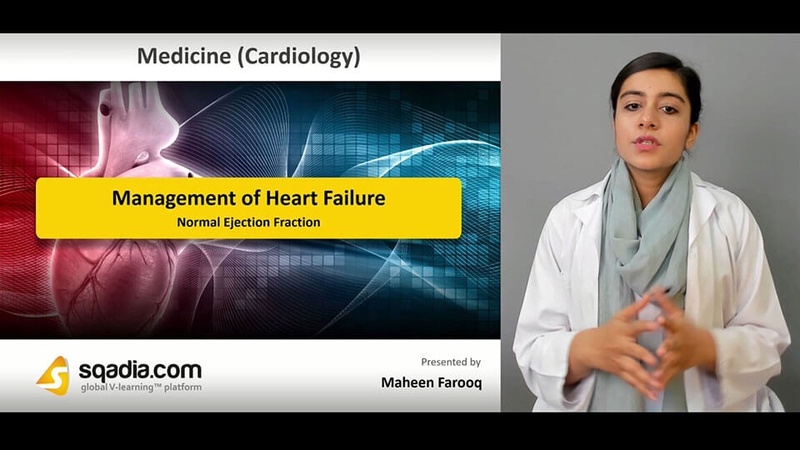 This V learning lecture talks about the definition of heart failure, ejection fractions both low and normal. In addition to this, implantable devices including cardiac resynchronization therapy, implantable cardioverter defibrillators and left ventricular assist devices have been delineated. 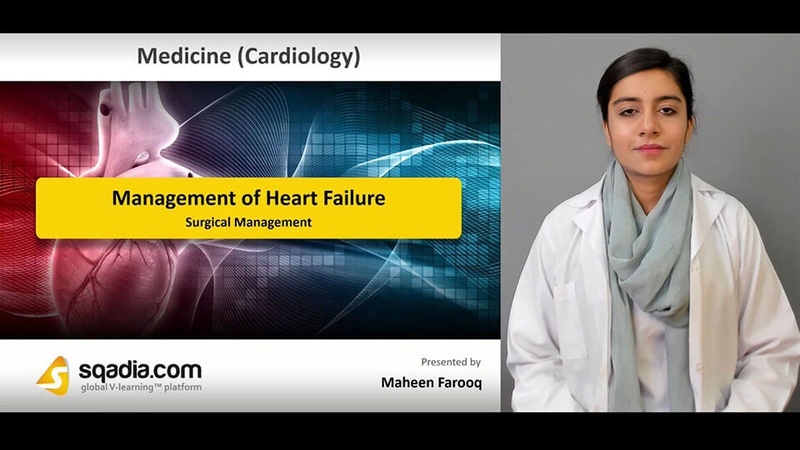 Towards the end, surgical management strategies encompassing coronary artery revascularization and bypass grafting along with transplantation has been discussed. 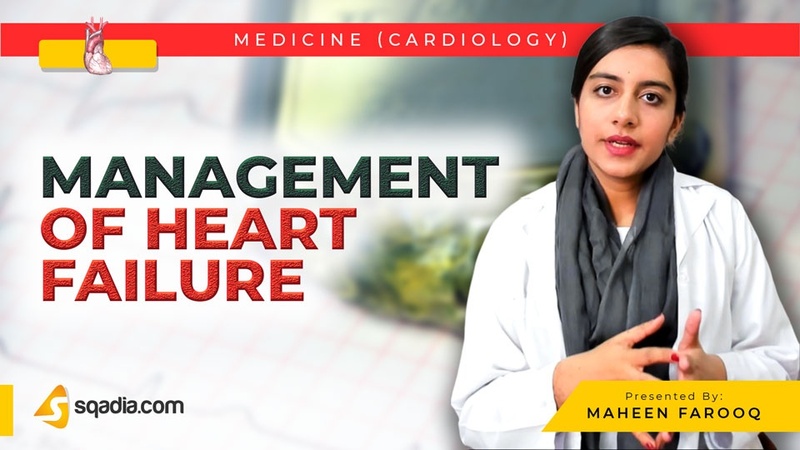 In the beginning of this section, heart failure has been defined as a chronic progressive ailment which affects the pumping function of the heart. In addition to this, the damage caused to the heart muscles and most common types of coronary heart failure have been discussed. Moreover, ejection fraction along with types of heart failure has been conversed about. At the commencement of this section, etiology has been comprehensively elucidated. Subsequently, prognosis and Framingham heart study has been shed light upon. Additionally, diagnosis and pharmacological management has been explained. Furthermore, the sites of the action of diuretics, ACE inhibitors along with the angiotensin receptor blockers, beta blockers and aldosterone antagonists has been explicated. Primarily, cardiac resynchronization therapy and implantable cardioverter defibrillators has been delineated. In the end, left ventricular assist devices (LVADs) has been expansively explained. Indications and the risks associated with LVADs have also been conversed about. Initially, heart failure with preserved ejection fraction and etiology has been talked about. In addition to this, pathophysiology and diagnosis has been elaborated. Echo doppler or catheter evidence of diastolic function has been mentioned about. Conclusively, management has been shed light upon. Amongst the management, both the non-pharmacological and pharmacological management options have been elucidated. In the list of strategies employed in surgical management, coronary artery revascularization has primarily been discussed. Moreover, coronary artery bypass graft and the complications which occur either before or after the bypass have been brought under consideration. In the end, the educator has summed up by talking about the percutaneous coronary intervention.